Explore a stunning collection of spacious New England style homes in a vibrant new community in Reading. 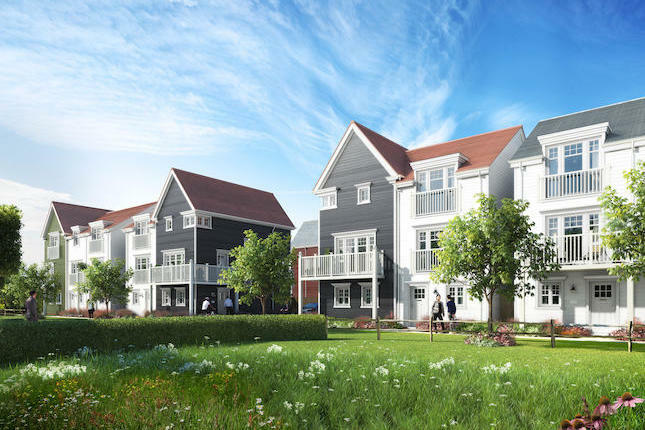 Green Park Village, nestled within 60 acres of landscaped open space is set around a beautiful lake which will create a high quality, design led and sustainable community with excellent public transport and local facilities including a primary school and a village centre. Trains: From Reading Station, the direct London Paddington train takes just under 30 minutes. The Greenwave bus runs seven days a week through Green Park to Reading central train station, taking just over 10 minutes.